Our next #LookInside feature highlights Yukoner and Engineer, Josée Perron, who recently completed her term as President of Engineers Yukon. This article takes you inside theself-governed organization made up of members from diverse fields of Engineering, who recognize the unique challenges of working in a Northern Environment while providing a vital leadership role in our community. In her last year of high school, Josée Perron thought she would follow in her parents’ footsteps and become a teacher, but a fateful day changed her mind and direction. She attended a presentation given by a local civil engineer on Career Day, and was inspired to pursue a career path that she had never considered, or even knew existed. The speaker was a woman – the city Engineer for Josée’s hometown. “I stayed at the end of the session and had a fantastic discussion with her about engineering careers, and following this I immediately applied for engineering at the University of Ottawa in the civil discipline.” And so began an education and career that has brought her adventures and meaningful, challenging and rewarding work. After her first year of engineering studies, Josée was offered a summer job in her hometown by the same engineer that had presented at her high school. She was awarded an international scholarship to study abroad, and after some wise guidance from her parents in light of some wavering and indecision, Josée completed her degree. Josée travelled for a year before returning to the University of Ottawa to complete an M.A.Sc. in Mechanical Engineering. When she and her partner were offered six month contracts in the Yukon with the Canada Winter Games in 2006, they jumped at the chance to continue exploring Canada and especially the North. They fell in love with the Yukon and made Whitehorse home. Josée got a job as a project engineer with the Transportation Division of Yukon Government, where she worked from 2007-2011. She gained valuable experience in the civil engineering discipline, and registered to become an Engineer in Training. She received her Professional Engineer (P.Eng.) certification in 2010, and has been working as a Professional Engineer ever since. 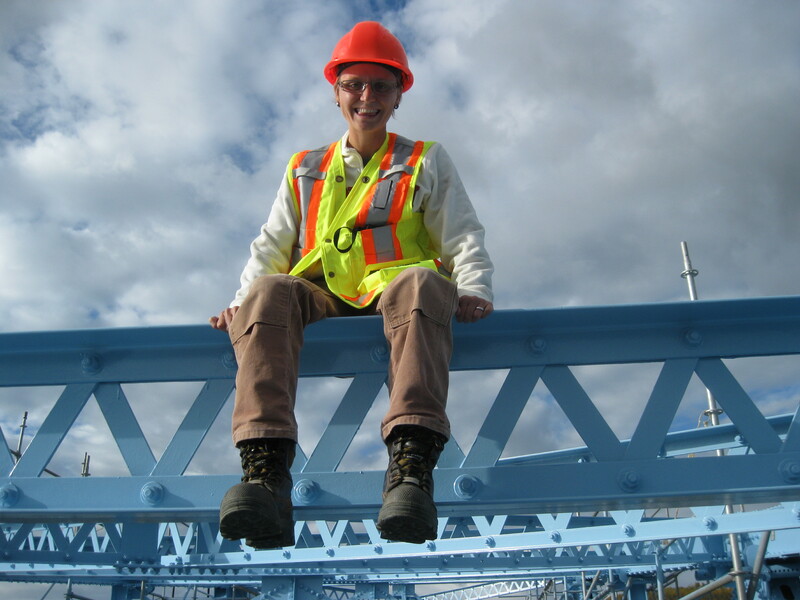 During her first term with the Department of Highways and Public Works, Josée worked on many transportation projects that included inspection, construction, rehabilitation or demolition of bridges, roads and structural culverts through the various phases from planning, investigation, design, tendering, to construction and post-construction. Since 2007, Josée has been involved with Engineers Yukon – a self-governing body of Professional Engineers that regulates and governs the engineering profession in Yukon. Engineers Yukon sets and maintains high academic, experience and professional practice standards for all members. “Only individuals licensed by Engineers Yukon are permitted by law to undertake and assume responsibility for engineering projects in Yukon,” she said. “Engineers Yukon is available to answer any questions and concerns that the public or engineers may have related to engineering.” Recently, Engineers Yukon has undertaken work to increase its outreach programs, hoping to inspire the next generation of engineers. Josée just completed a term as President of Engineers Yukon. Prior to that, she was Vice-President for two years and a Councilor for two years before that. She valued the team approach that the board takes to the tasks involved. “The engineering profession provides an interesting and challenging career opportunity to work with a fantastic group of people that have expertise in a variety of areas – not only engineers but so many other disciplines too,” she said. “I always see our profession as being the doctors for all non-living things – although some engineering disciplines are now focusing on biomedical and biomechanical area, so this statement is not fully accurate anymore,” she said. To that end, Josée is glad Engineers Yukon has adopted the 30 by 30 goal, a Canada-wide initiative focused on raising the percentage of newly licensed engineers who are women to 30 percent by the year 2030. “It is fantastic to see such a level of effort from all the associations across the country and the support being provided for this initiative,” she said. “Engineers Yukon has a committee that meets regularly to work towards reaching this goal.” With their continued efforts, the Yukon is on track to far exceed the 30 by 30 goal – in 2017, 28.6% of the newly-licensed engineers in the Yukon were female, the highest percentage in the country and well above the national average of 17.9%. 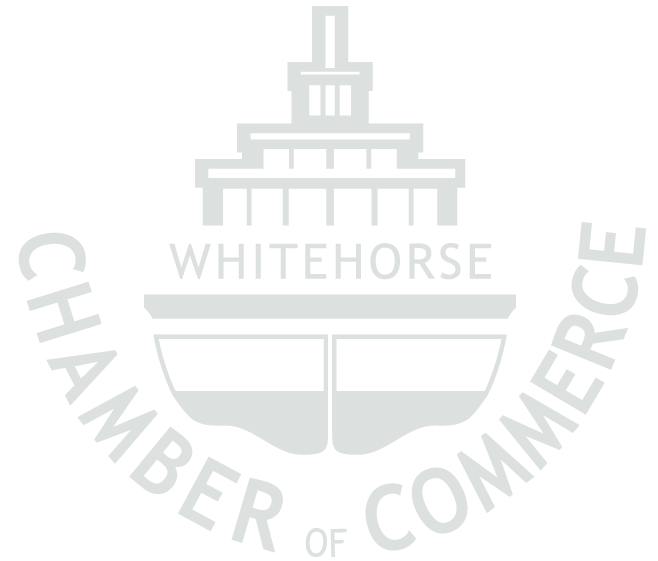 Engineers Yukon aspires to continue to be a strong professional organization with members from diverse fields of Engineering, who recognize the unique challenges of working in a northern Environment. Engineers Yukon also aspires to support 30 by 30 goals to achieve a more diverse group of engineers in the Yukon. As the profession evolves, Engineers Yukon members seek to achieve professional satisfaction and fulfillment, while remaining responsive and relevant to the needs of society.